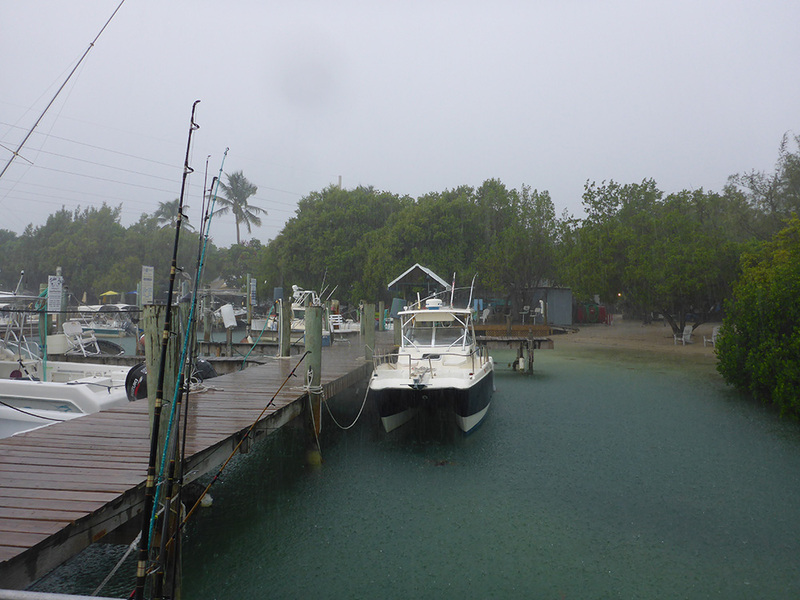 I received a text from an old fishing buddy asking if I wanted to join his party to go fishing at Robbie’s in Lower Matacumbe Key. 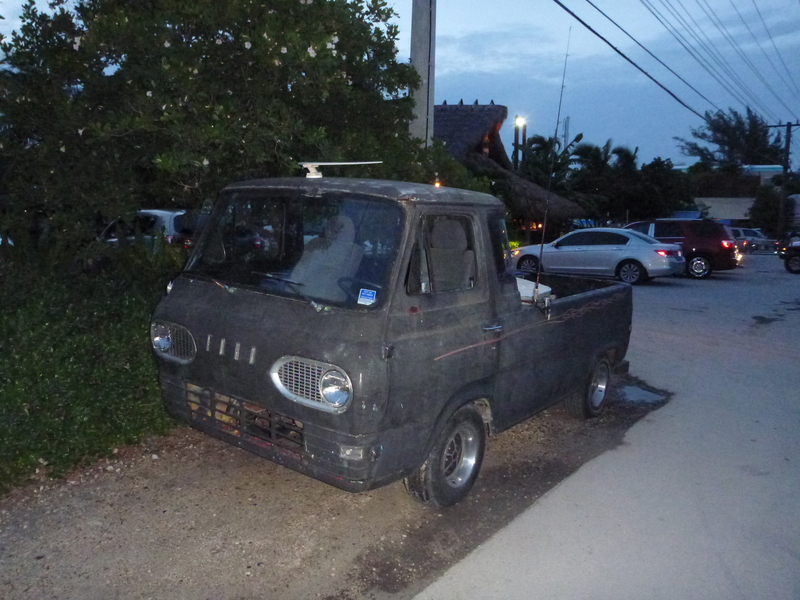 For those that don’t know, this area is part of Islamorada. 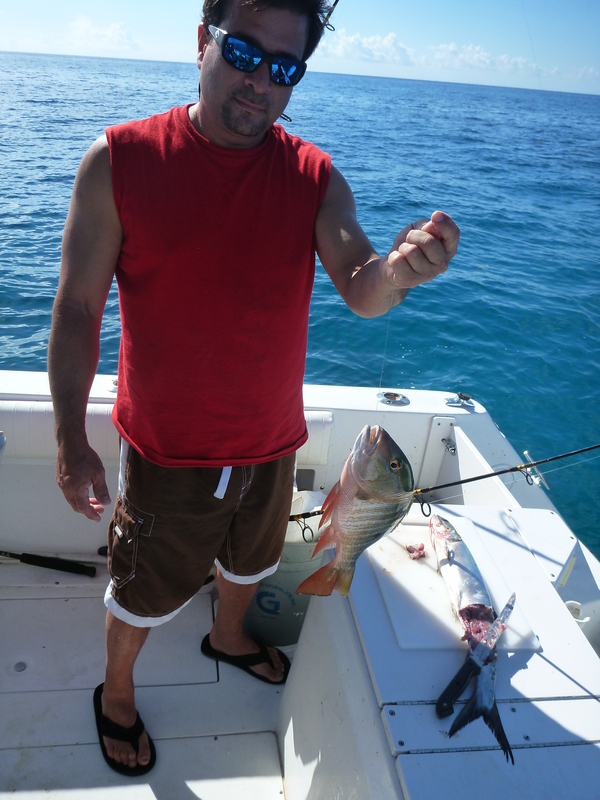 I was not expecting much from this trip since earlier trips had been catchings lots of grunt fish. 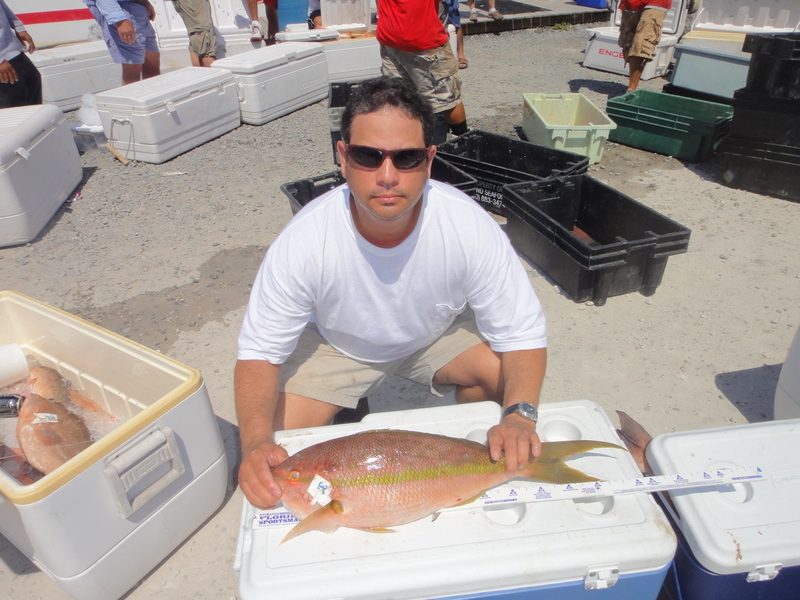 Those that know how can get some nice yellow tails or get lucky with other fish as well. 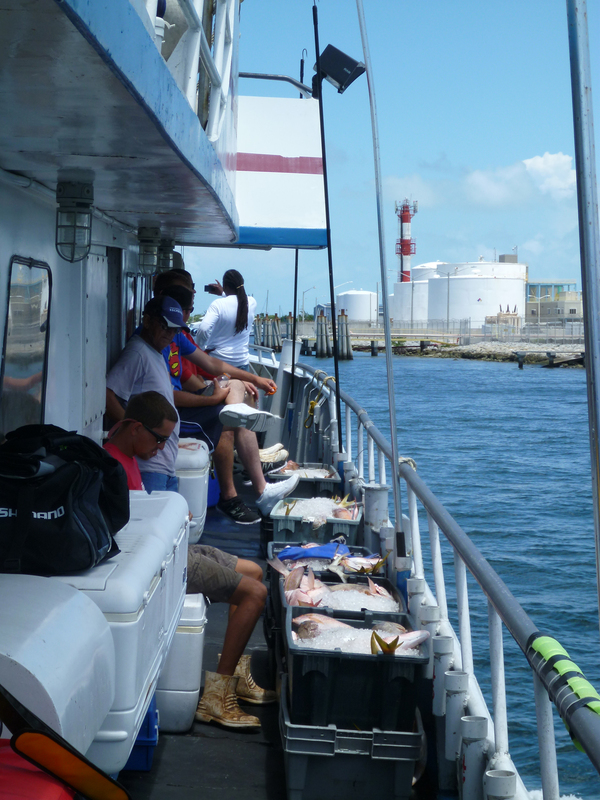 Our trip was no different this time around but it was nice to get out there and fish once again and just to be fair if you really want to catch fish on the Capt. 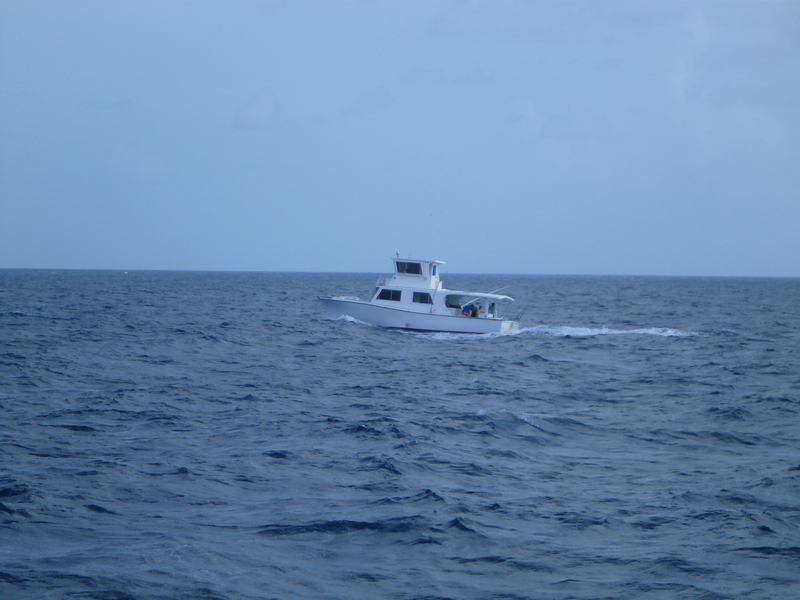 Michael boat, go at night, this is when they are very likely to catch a lot of yellow tails and or mangrove snappers. We got to Robbie’s and walked through the area. 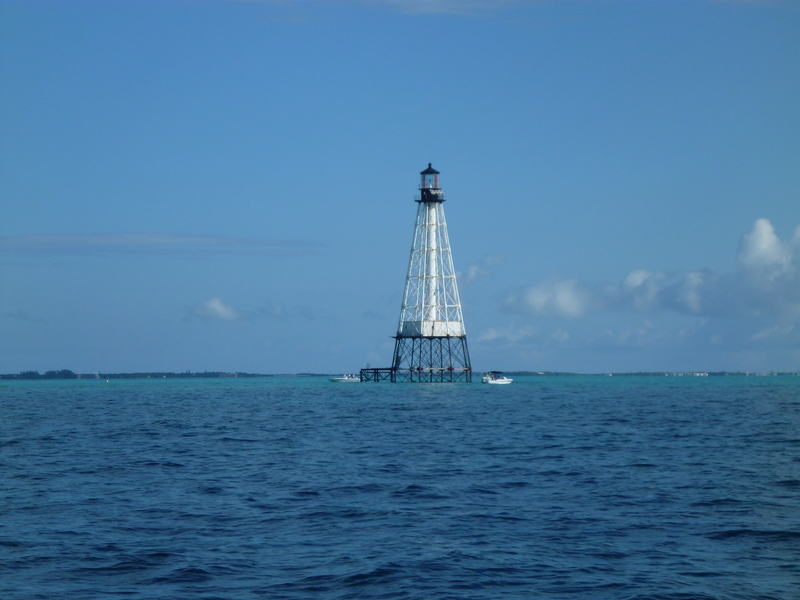 I think this is where those not so familiar with fishing have the most fun, an encounter with Tarpon fish and sometimes Jack Crevale fish. 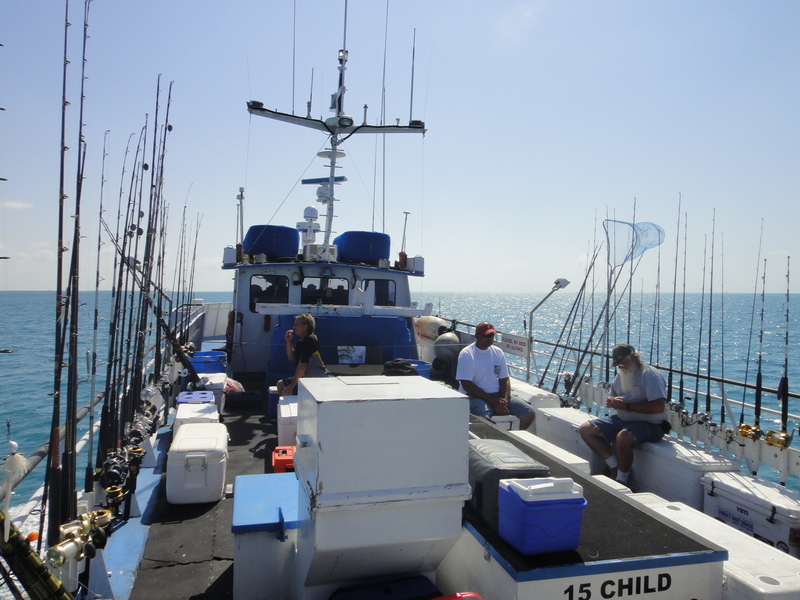 For a few dollars you can buy a bucket of sardines to feed the fish and so it is what our crew for the day did. You and your family will definitely have a good time doing so. 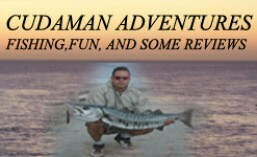 They have a very decent restaurant and if you feel like having an adventure they rent kayaks, jet skis, and boats. Below is the Capt. 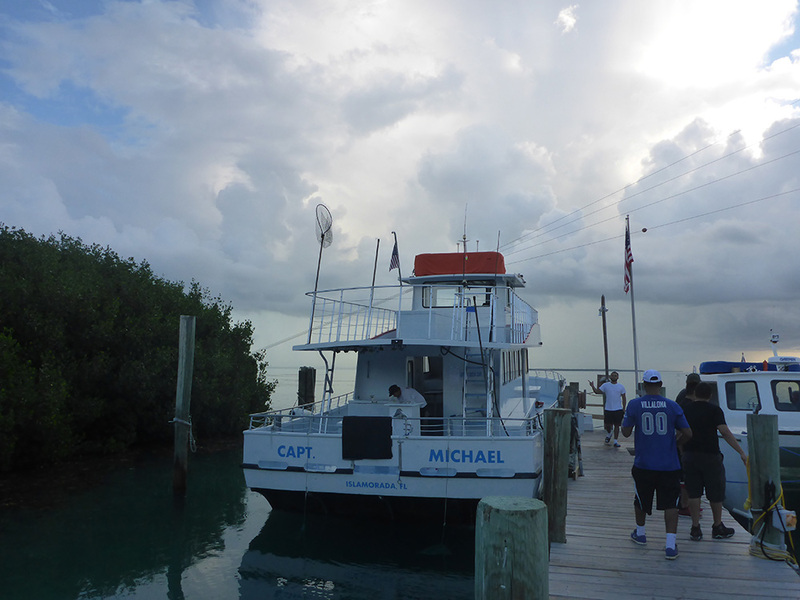 Michael party boat. Don’t you dare bring bananas on this boat! 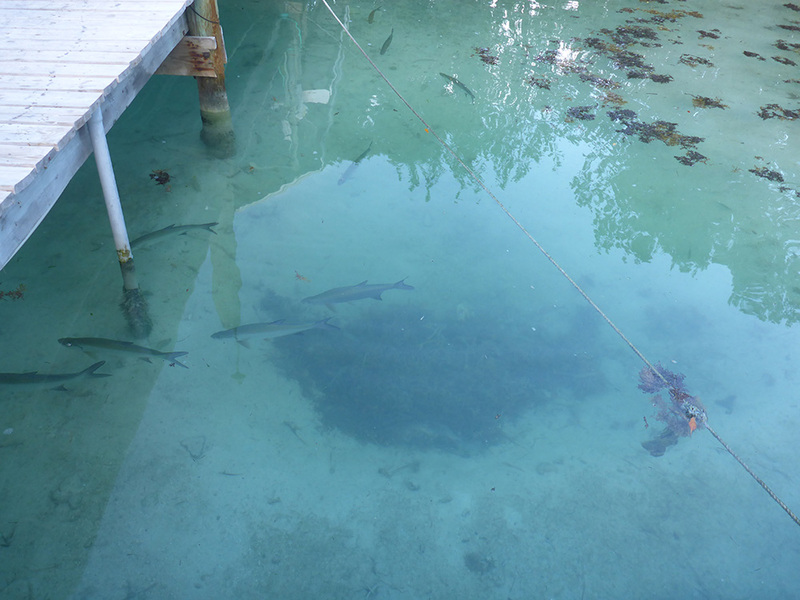 Looking around you will see many Tarpon swimming under the docks. 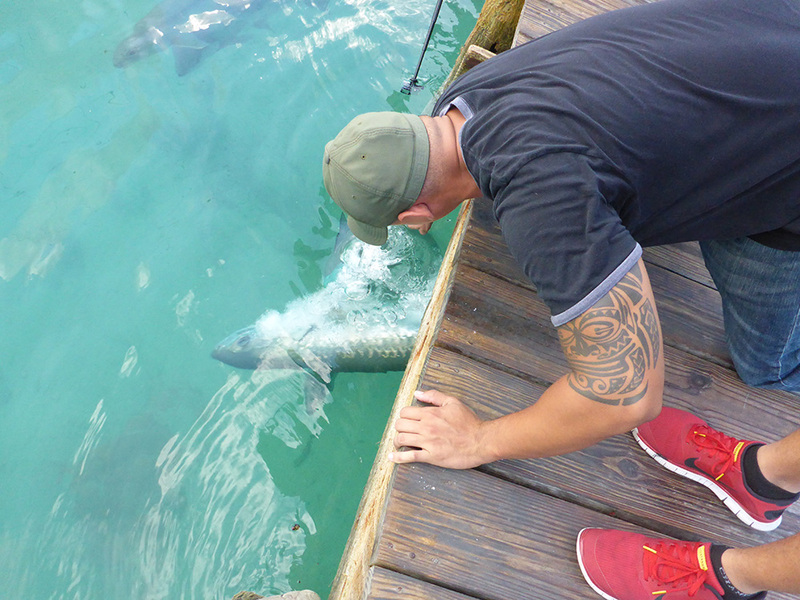 Here is my son having fun feeding the Tarpons. 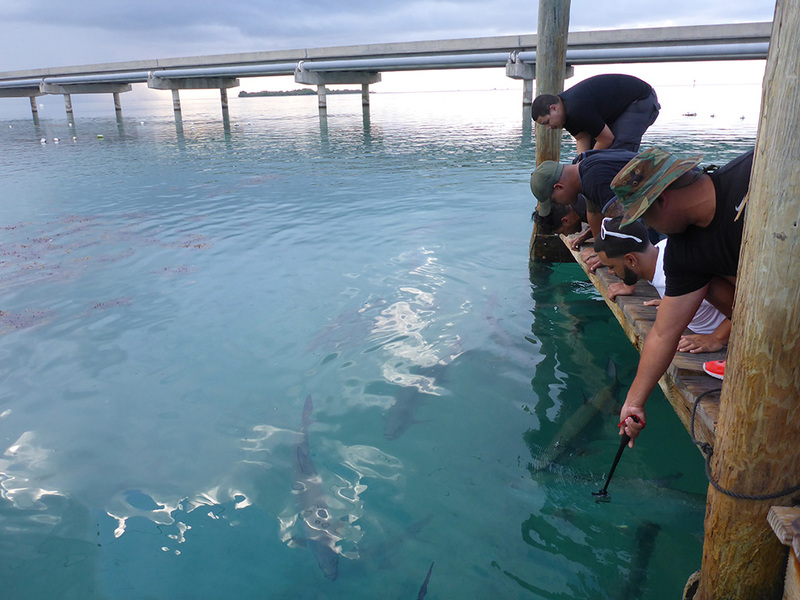 Here are my nephews and their friends having fun with the Tarpons. 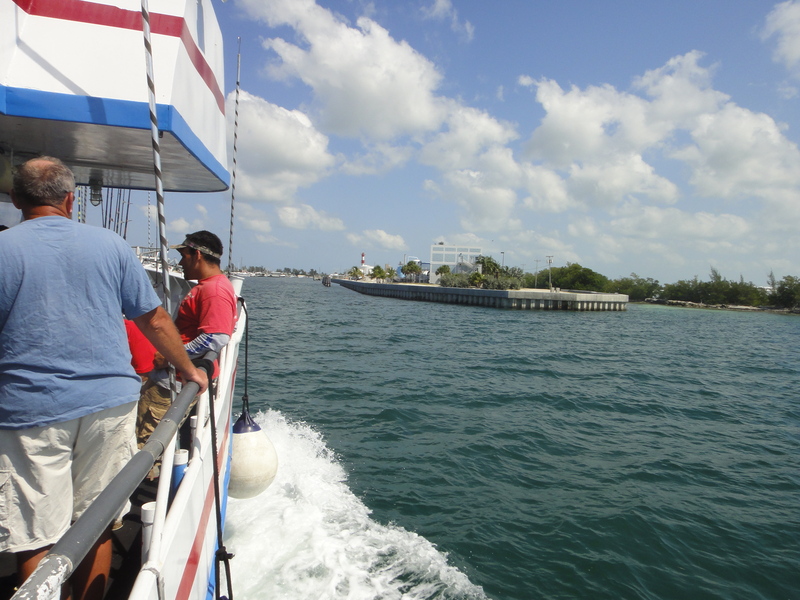 A look at the docks and the bait pens. 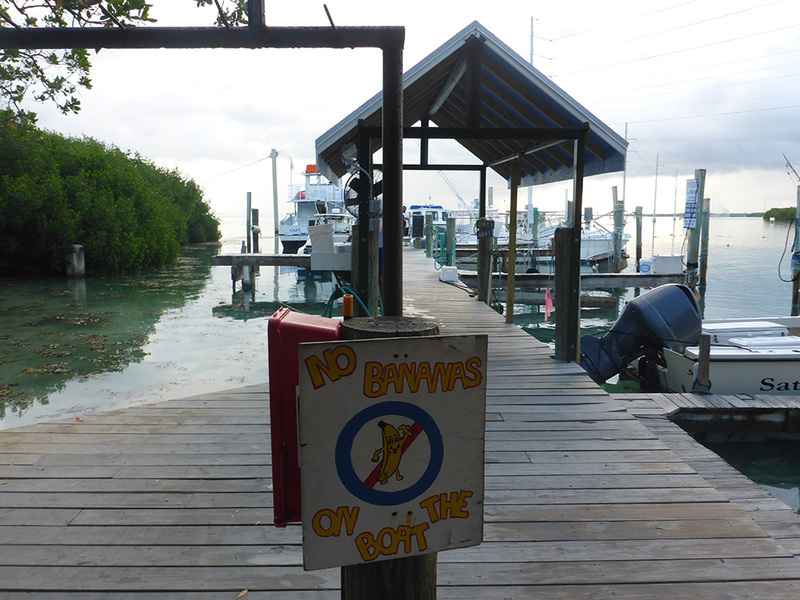 There are charter boats that leave these docks and if you don’t have a big party you can call to get in a shared charter. The cost is very reasonable and you will have a chance at very decent fish. 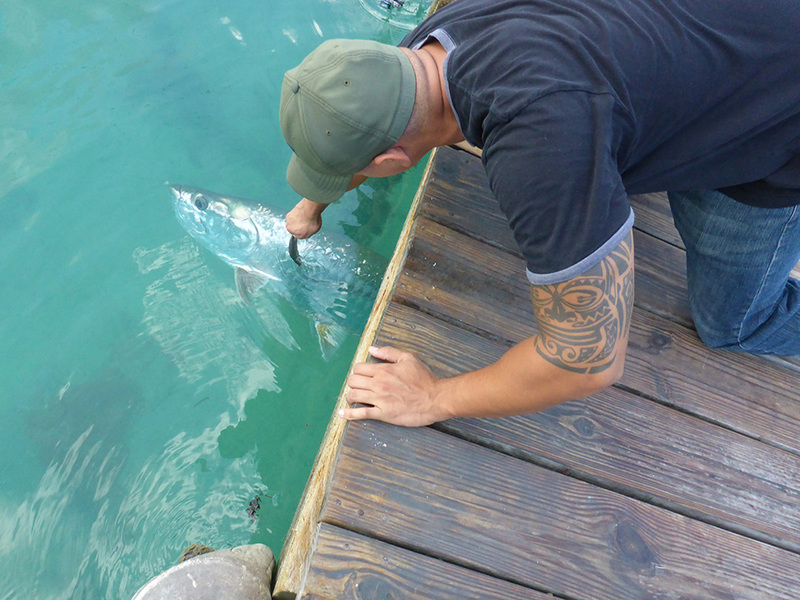 Once all the fun was over and the Tarpon were well fed we headed on to board the boat. 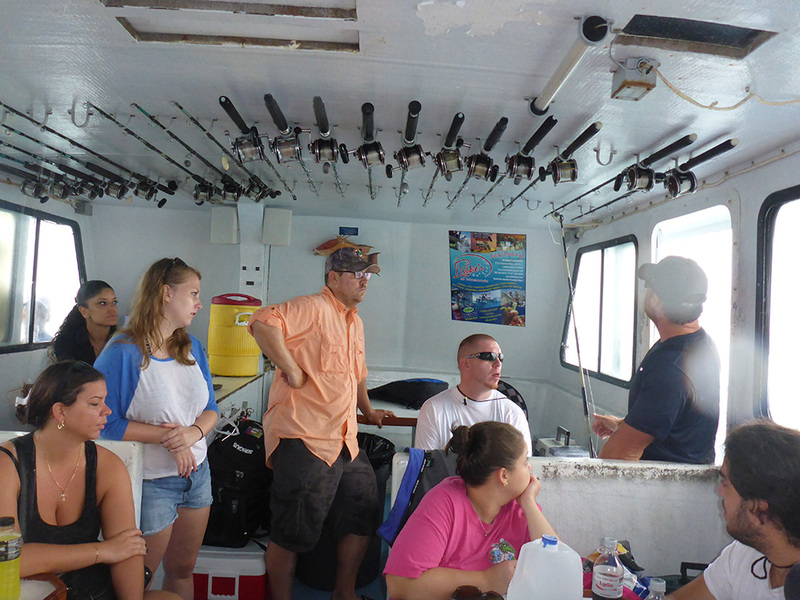 Below is the mate giving instructions on how to use the overhand fishing reel that are available for rent. Below is how they normally set up for fishing. 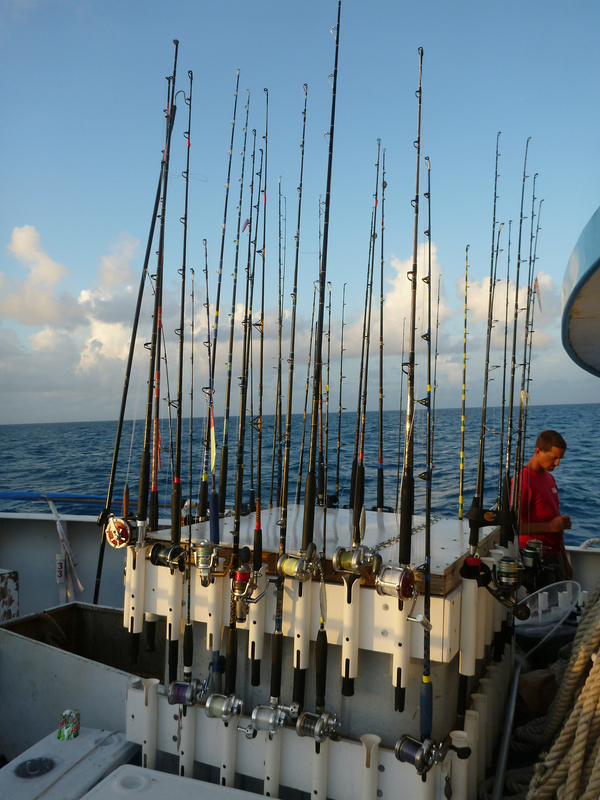 You pay the fare, you get a rail number and you stay at that rail number fishing with your equipment or their rentals. 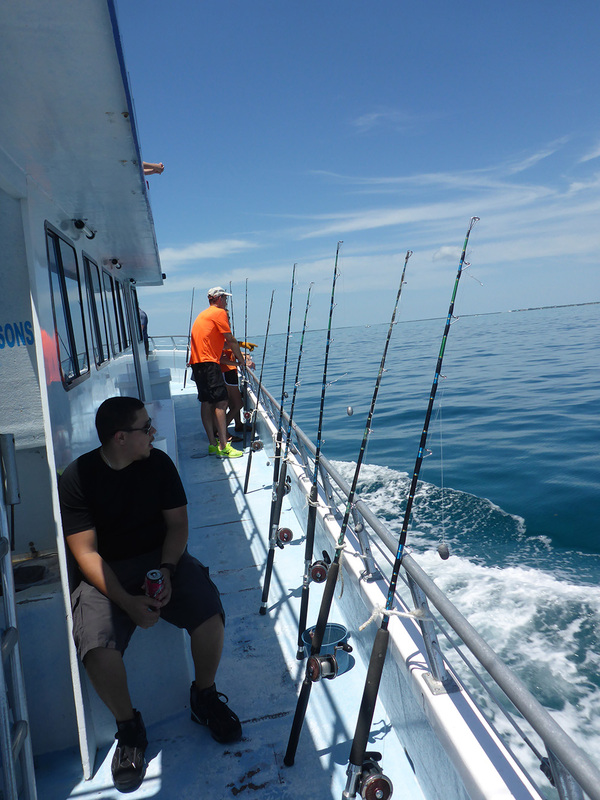 Since the boat was booked to capacity the Captain had us fishing in very shallow water, it was about 30 feet according to my metered line. I was hoping for a little deeper so I could use my slow jigging gear. The mate said we couldn’t go deeper until the current would slow down. At all stops the boat anchored and the mates deployed frozen chum and also chum from a bucket. 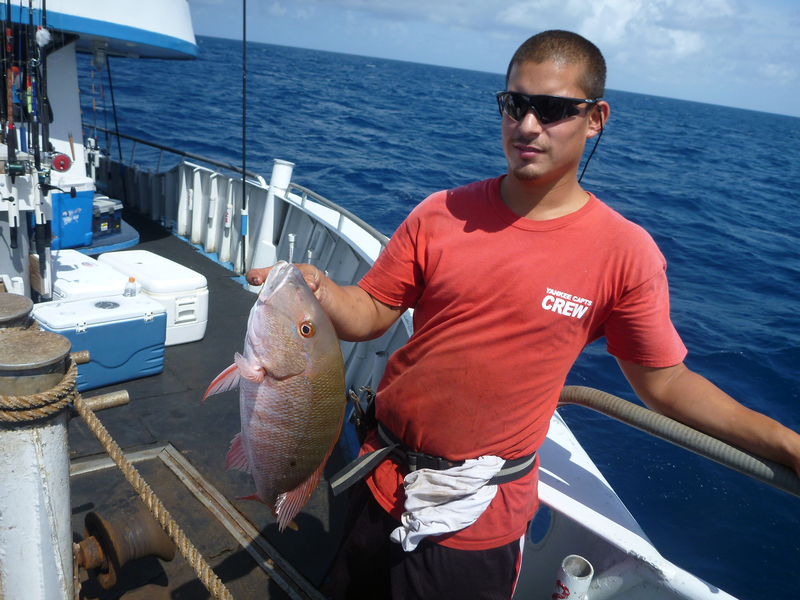 At 30 feet 99.9% of the catch were grunt fish. 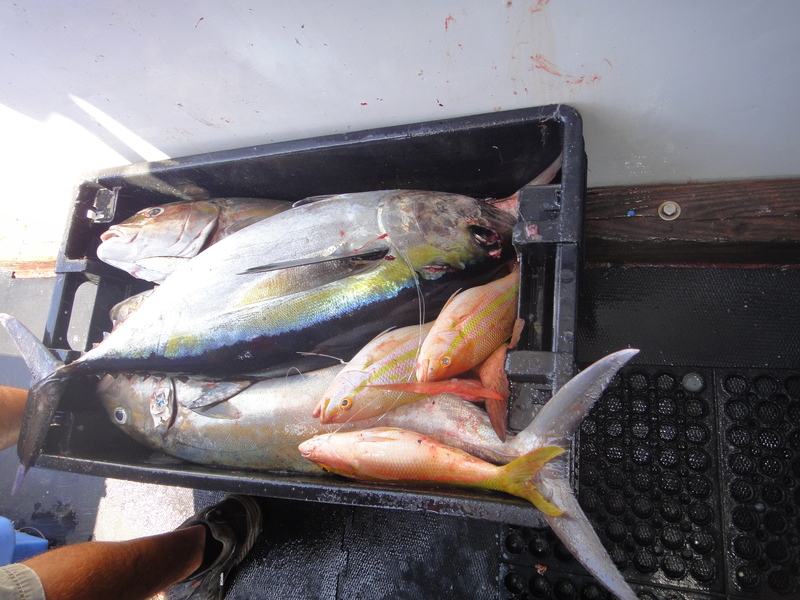 I and a few others managed to land a yellow tail each. 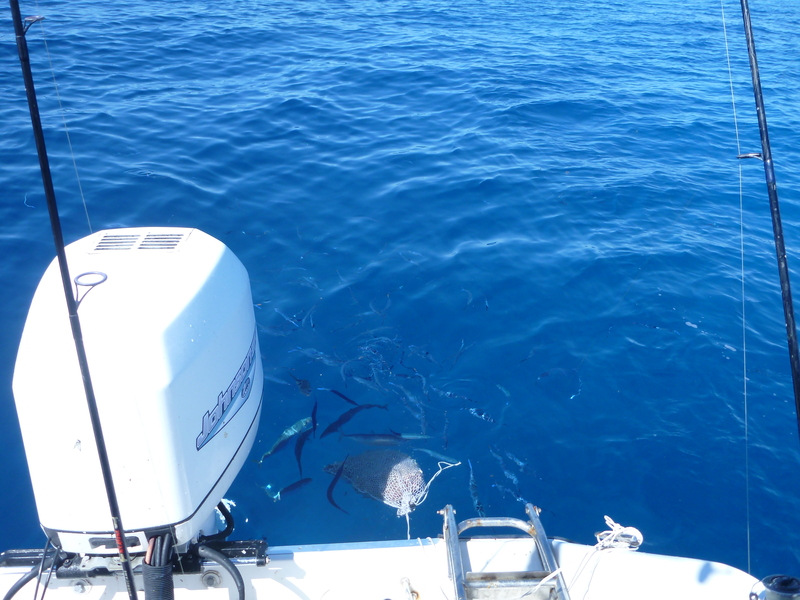 On the last stop we went fishing in 90 feet of water, this is when the Glass Snappers were biting consistently. It is not what I was after but it was what kept on hitting our slow pitch jigs. 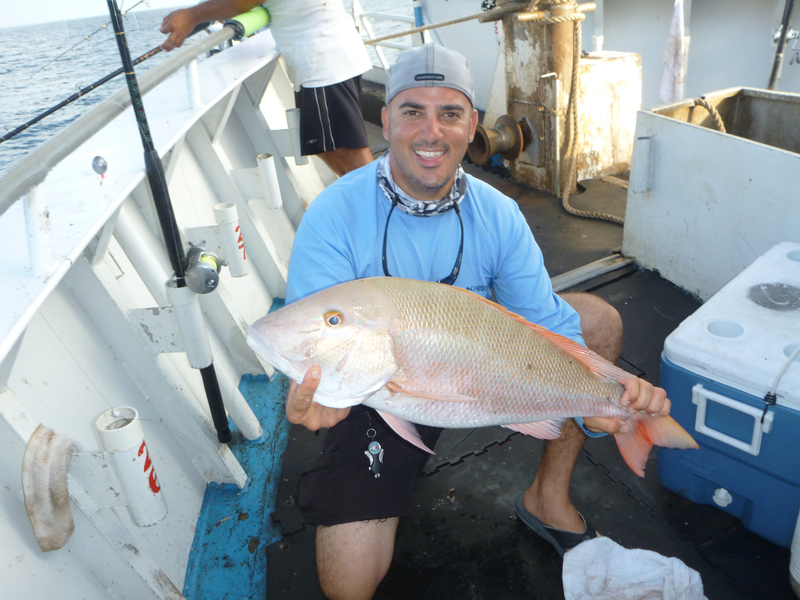 In the end with 4 Glass Snappers caught with my slow pitch jigging set up and one yellow tail caught on bait. 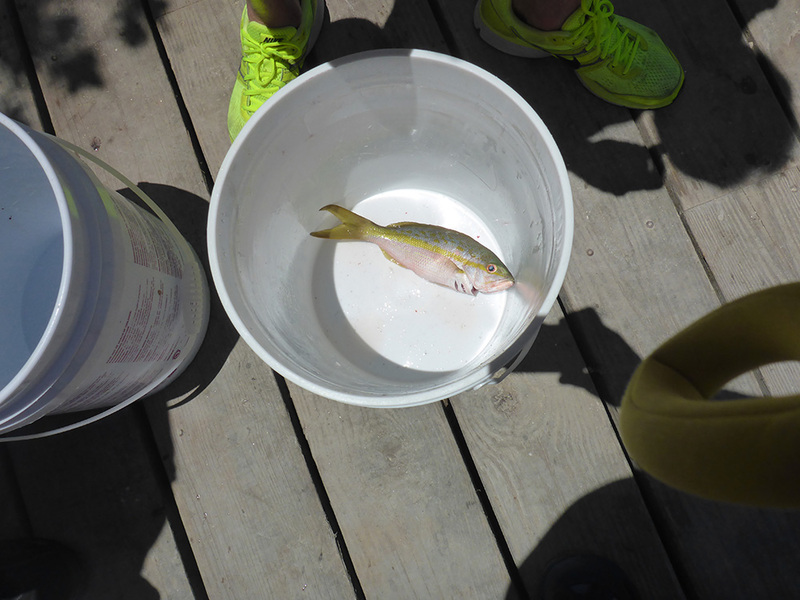 Our group filled a 5 gallon bucket with fish. Not so bad for only 4 hours of fishing. 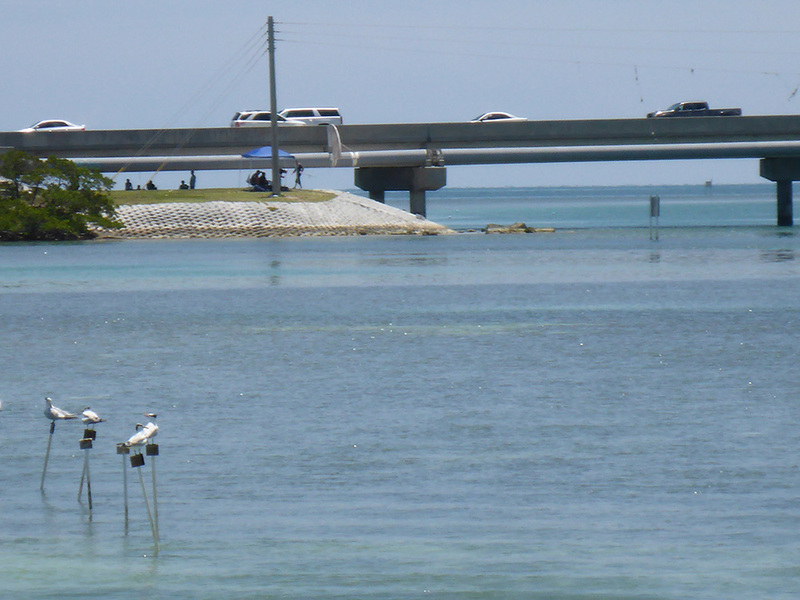 On the way back we could see people fishing under the bridge. Sometime you can get good quality fish from those areas. Below is the size of my yellow tail, it made it one inch passed the legal limit so it will be a dinner for two or two sandwiches. Well, it’s better than no meals. Below you can see the catch for the boat, most tourist were using squid and small strips of sardines. We were using jigs and silver sides. Below is some information from their site in case you want to try your luck at Robbie’s of Islamorada. 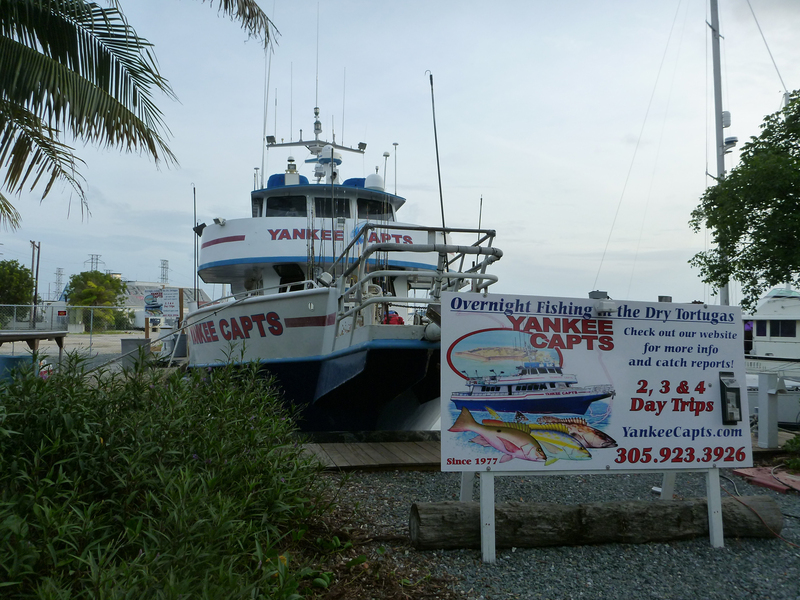 The morning charter casts off the dock at 9:30 a.m., returning at 1:30 p.m. At 2 p.m. the boat heads back out for an afternoon charter, which returns at 6:00 p.m. Robbie’s also offers night trips, which leave the dock at 7:30 p.m. and return at 12:30 a.m. Half-day adult is $40; half-day child (12 and under) is $24.50; these rates include bait, tackle and fishing license. Half-day rod rental is $5. Night trip adult is $45; night trip child is $26.50; night rod rentals are $5. 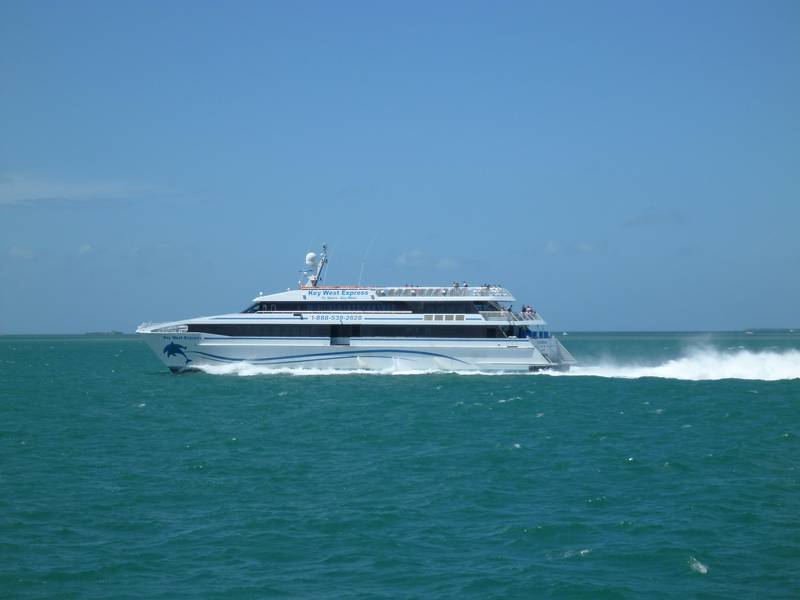 Stern spots for all trips are $10 extra (limited spots available). Taxes not included in all rates. Military discount of 50 percent with valid I.D. Purchase two trips on the same day and get a $10 discount on the second trip. Thanks for reading or looking at the pictures. Jigs : 80 to 150 gram, butterfly jigs, blue, pink, and green jigs worked best. Only caught bonitos on them. 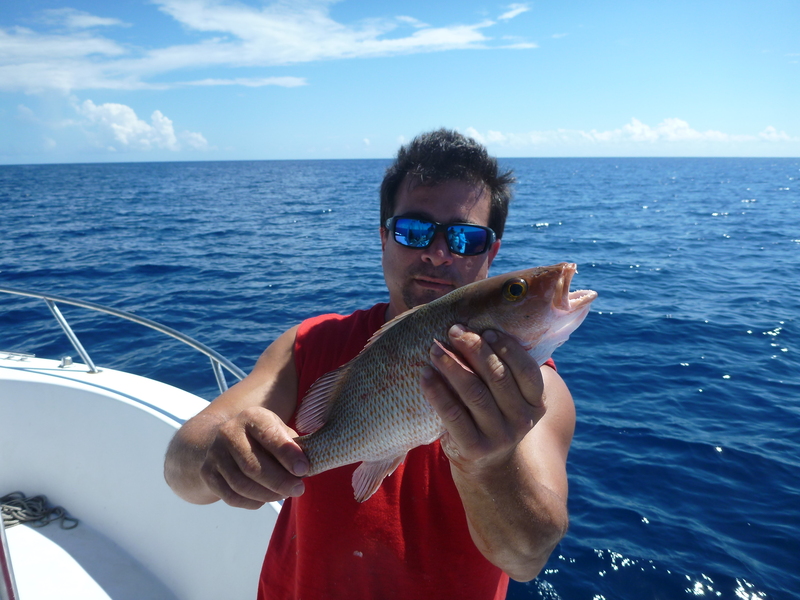 My buddy Ed had been itching for the experience to fish on the Yankee Capts and he knew I was planning on a trip, so we decided to hop on the Mutton Marathon trip. Well, for starters I knew I was going in to a trip with a big possibility in bad omen of weather. There was a Low Pressure system in the Yukatan Peninsula and a High pressure system in the Carolinas it would have gone both ways. I normally like to fish before or after a storm, this time it was in between. Sometimes we have to do what we can to get an opportunity to fish and so it is my luck that this year I have been against a wall of bad luck. It is called fishing not catching so no excuses of bananas on board. I will blame the cause to this trip to my lack on getting fresh bait for my self on this trip. 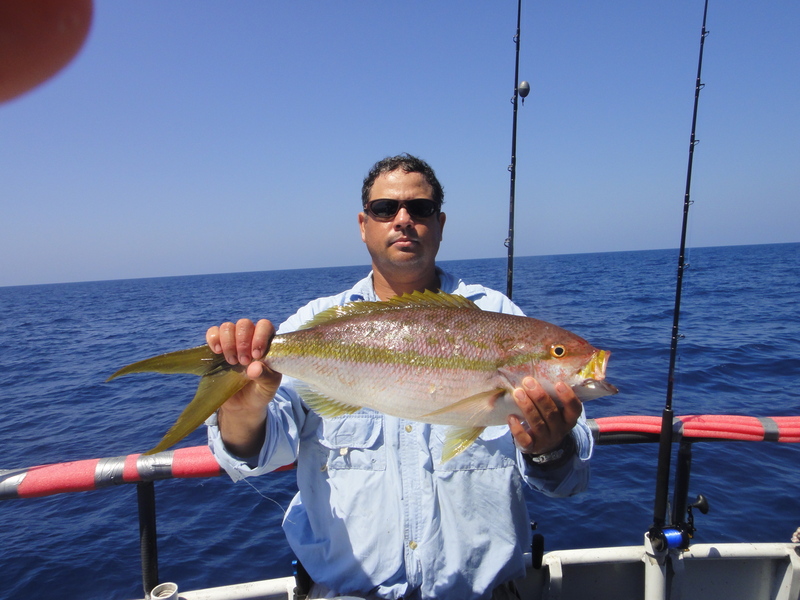 I only went out once to get fresh bait and it was only micro blue runners and jacks that I found, plenty for yellow tails but no mutton snapper bait. 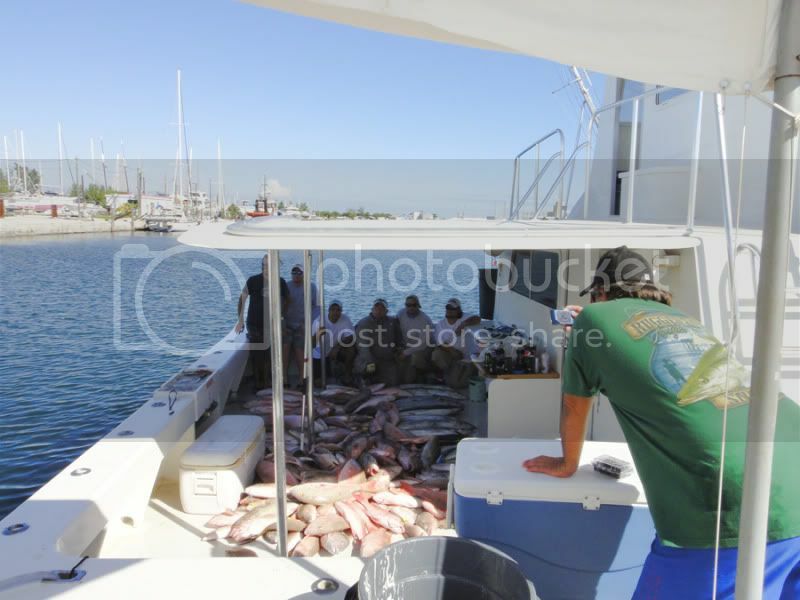 I could have gone and tried harder to get some good goggle eyes but I just did not have the time and did not want to kill my self over the bait and so I made the wrong decision of calling the Captains in the keys and depended 100% on them. 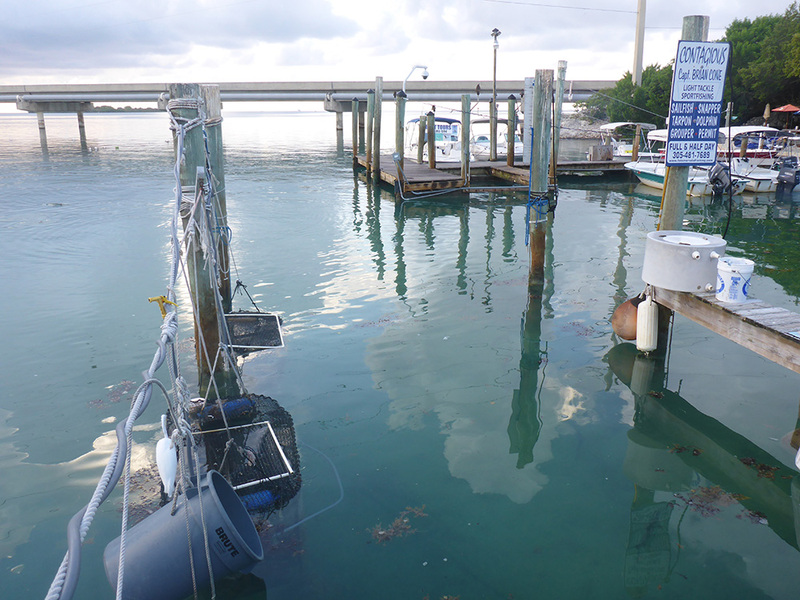 Well, there was no bait in the Keys, no one had it and even ballyhoos were not accessible for purchasing since it is commercially closed in August. Out of 4 Captains called and 5 bait shops visited and was only able to acquire frozen old bait and I mean freezer burnt old bait. 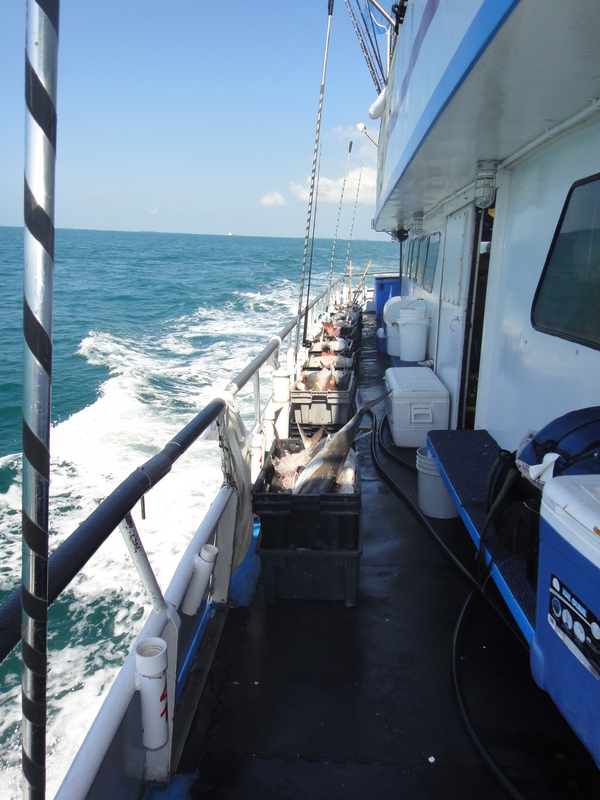 Our only chance was to get fresh bait on the boat. 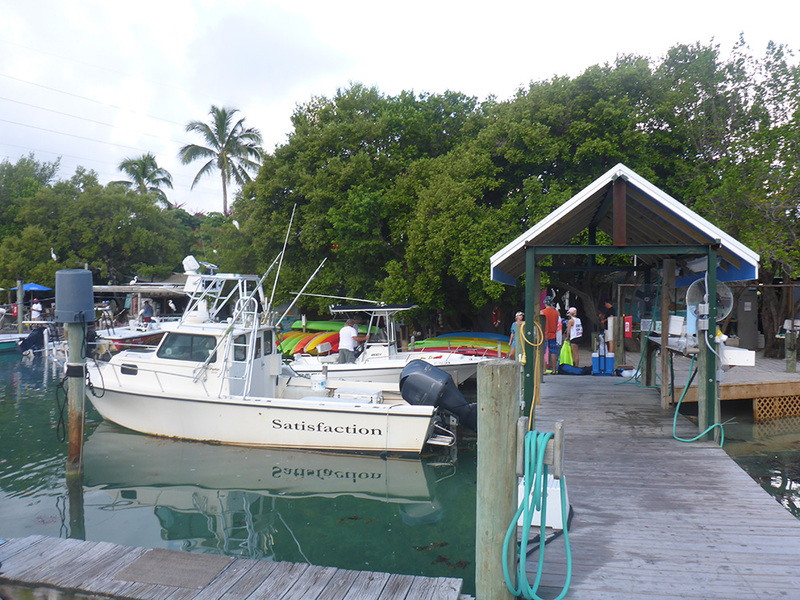 As we got to the dock it was the usual unload and get all ready for the trip, after doing so we enjoyed a nice Hogfish Sandwich and a few drinks. The boat left the docks and we arrived at the grounds at around 4am in the morning. 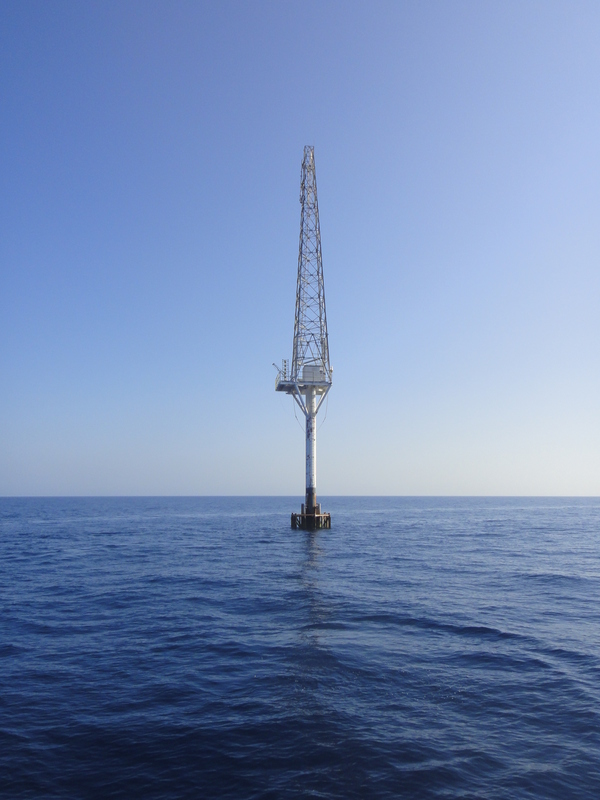 First stop 110 feet deep. At this dept you are usually able to acquire fresh bait. 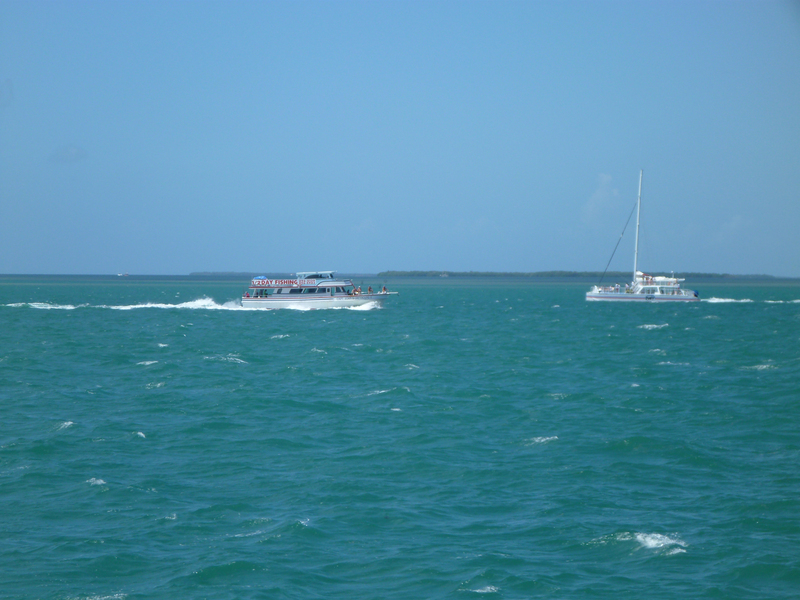 I got my net ready as a few flying fish were visible, dang it they left as soon as the engine stopped running, crap! I tried the sabiki for some gogs but had no luck and the sun came up a bit later than usual giving us more time but the bait just wasn’t at this stop. OH well, we tried getting yellow tails and we got plenty of that, a story that would repeat over and over during the day. 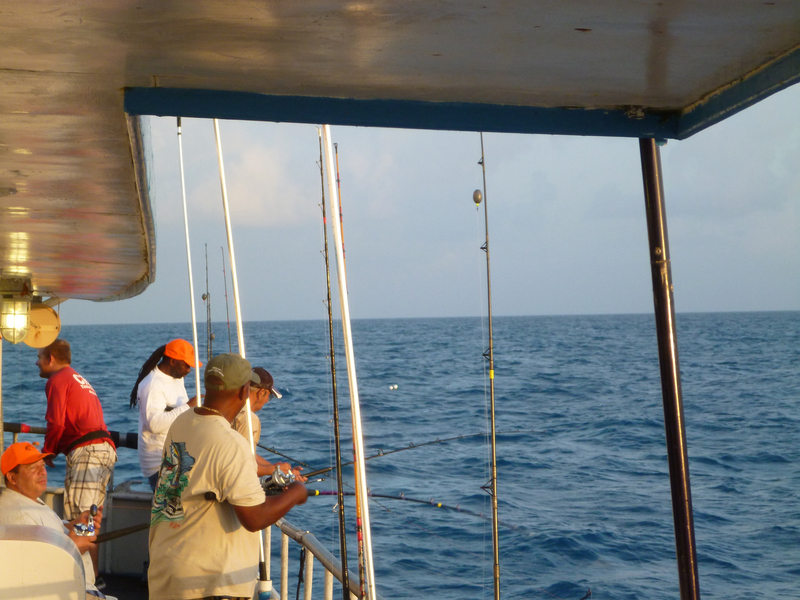 It was now night time Friday, the boat was anchored at 110 to 120 on all the stops and the flying fish came close to the boat and I was able to secure at least a dozen or so of them but about 8 were only 3 inches long which was not so useful when you are in yellow tail City. The yellow tail would just chump at the small baits and when using the old frozen baits those would just fall right off and when hooking them in the spine you would just bring the cleaned out bones, if you are a fish bone collector this was the time for you to appreciate, not for me. It was time for a super hot shower get a little cleaned up and drink a beer re look at my strategies and see if I could do something on Saturday to turn my luck around. 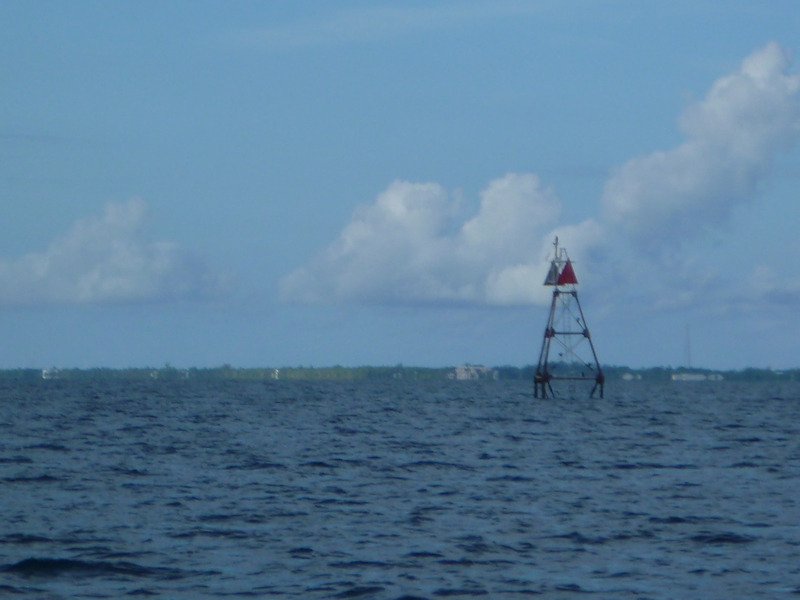 The clock kept going as it always does, it was now past midnight and the Captain tried moving to deeper water the current was good for 8 ounce fishing but the wind and the current were on opposite ends, it was tangle city USA. New Yorkers against Canadians, against Floridians blaming each other for the tangles when it was nothing but wind to be blamed, LOL. It all got quiet everyone looked at each other and kept on trying to fish with some relocation to other places on the boat. 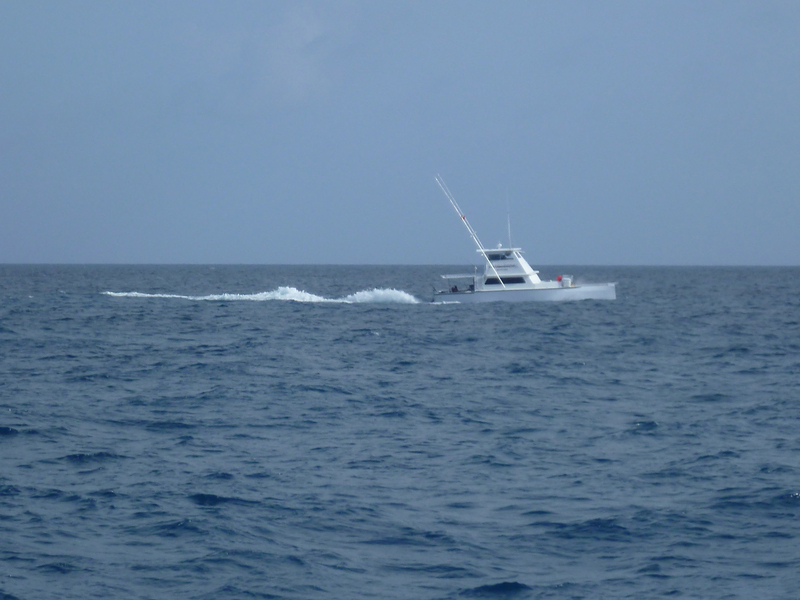 As the day came by us the captain again moved to shallower waters this time to some ledges in 85 to 90 feet of water. Well it was another bust, hardly any bites and sad to say maybe the reason we weren’t catching much is in the video below. My buddy Ed dropped a Gopro in 90 feet of water with a small contraption we devised, take a look and just pause it when you see fish. Later in the day we made another move and when I saw that ledge on the screen I was so happy, I hurried down and grabbed my jigging rod, jigged and jigged but nothing happened. 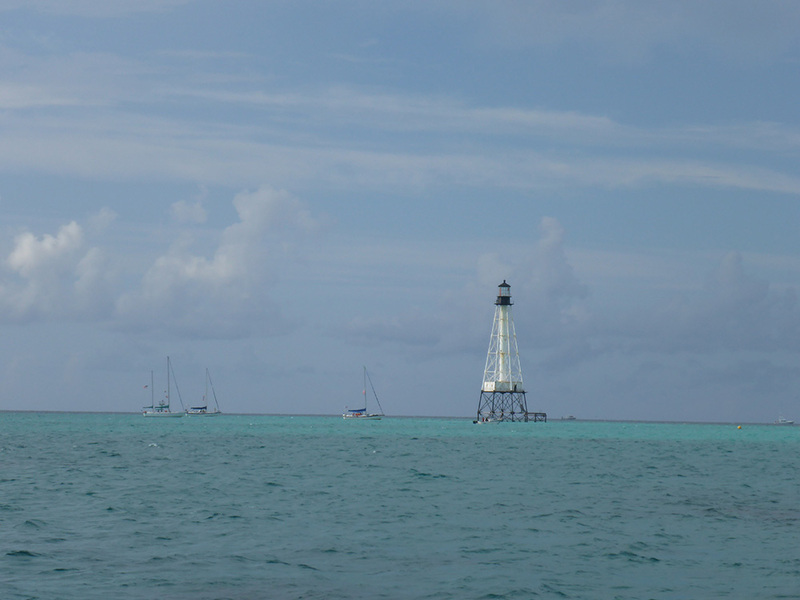 We actually had arrived in shark city USA, shark are always all over the Dry Tortugas and up to date I have been able to avoid them by using crabs, octopus, and squid, well nothing else was interested on those offerings other that yellow tails that were chomped by the sharks anyways! 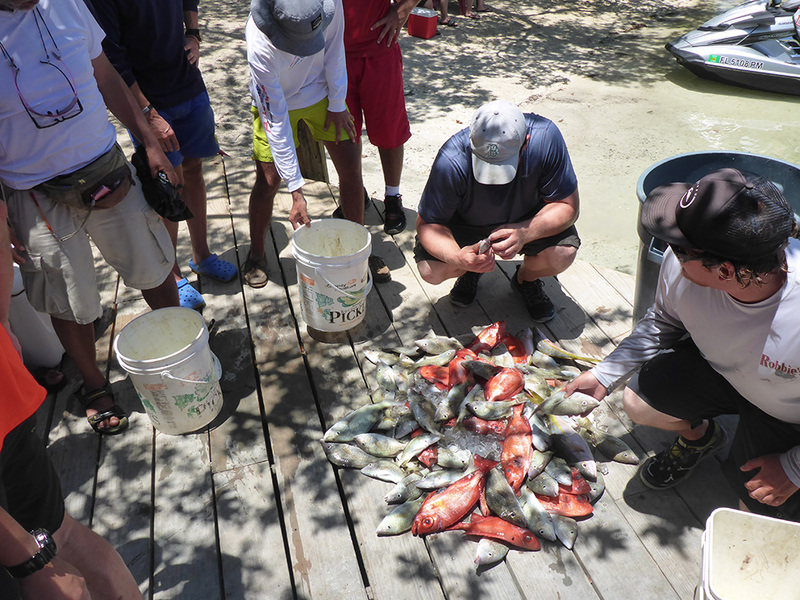 But then the sharks moved out and up came some action with a few muttons and some nicer size yellow tails and juvenile red groupers. As the sun started to go down Ed gets a blue runner, I immediately cut it and tell him how too hook up the chunk. He sent it down and only a few seconds when BABAM!!!! ZZZZZZZZZZZ ZZZZZZZZZ he thinks is a shark and Jarvis and I at the same time say “iIT’S A NICE SIZE MUTTON RUN MAN!! 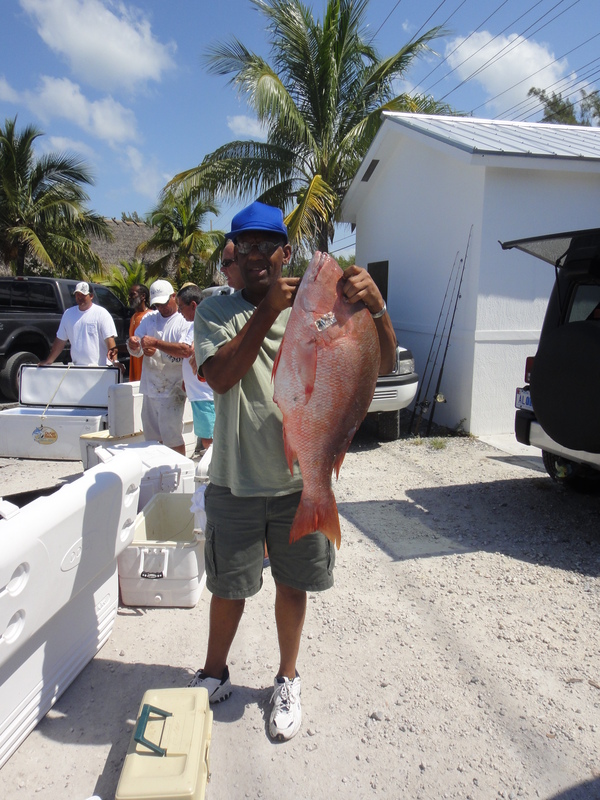 !” Ed did his thing and got the fish up inch by inch. “UFFF!” he said, “got him!” and so he retired for a little while in the afternoon right after that, the man sure was happy of the catch, LOL. As the night fell on us I went back to bait fishing, the bait was hitting small sabikis and guess what? I only had huge sabikis that worked in the past, I left my smaller sabkis at home because I tried to downsize on the tackle I brought. ARRRG! I only got one goggle eye and 2 blue runners. The blue runners were taken by sharks and the goggle eye was lost because Rodney the Rod Holder failed me. the rod holder was in a spot that when I pulled it out the lever went on free spool as I got a bite. CRAPOLAS AGAIN!!! OH well again, the afternoon came by and the weather turn for a bit and we lost some of the wind and the clouds, Nice! WEED! WEED! WEED! 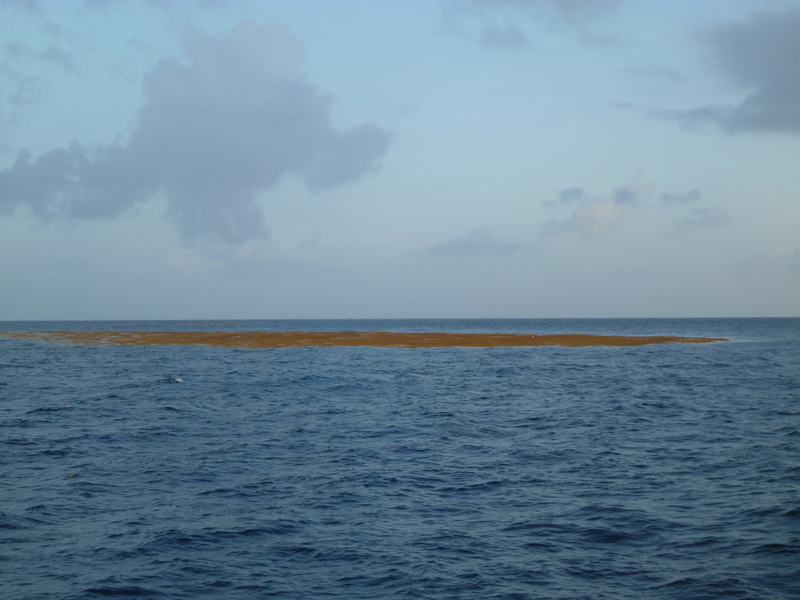 Not the one you smoke the good stuff lots of Sargasso floating around. I got prepared and setup a rod in case dolphins got close by. Nothing came close by so I went to the stern to try and sling a knocker rig with a whole ballyhoo on 30 pound test braid line for a shot at a mutton and what happens to pass by as sling my bait out into the depth? 3 dolphins, 2 cows and a bull. Art a quick thinking fisherman also had the same Idea as I did and had a rod ready so he sent the chunked bait out and hooked on to a small cow and kept it in the water long enough for other to throw some bait out. I already had the whole ballyhoo on my knocker rig so I brought it in to the top and got nailed by a bigger cow. 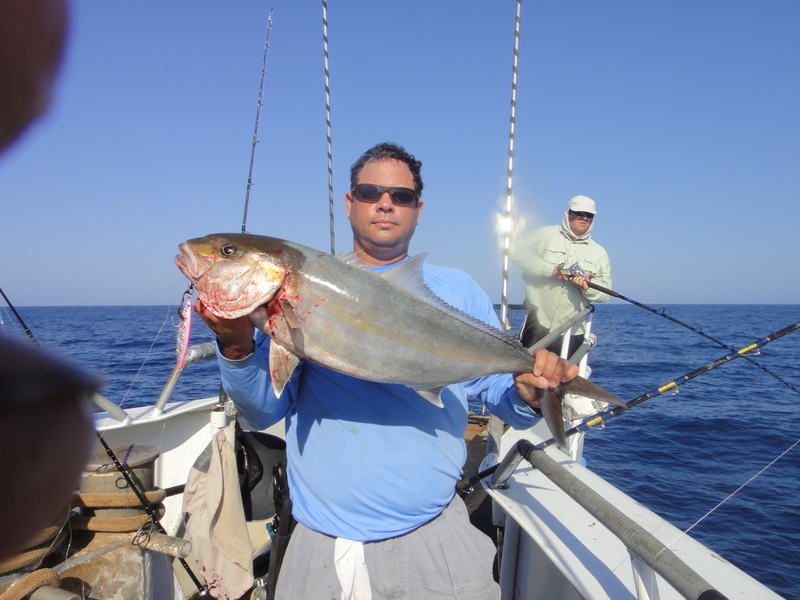 At least I got a 10 pound mahi mahi on this try and did it by chance since my prepared mahi mahi rod was at the front. After that it was nothing but yellow tails and yellow tails for me. Art and Jarvis who are regulars on the boat had fresh goggle eyes and speedos, they were hauling one quality mutton here and there at a few stops. Art won the pool with one of those fish and I think Jarvis ended with 8 muttons or so after Jarvis no one had more that 3 or 4 muttons and I only got a short one I had to let go. It was past 12am on this night and Sunday had arrived, Ed spent a lot of time sleeping because he developed a big back pain but he kept on fishing in between naps, I woke him up to help me with the bait. I went on to try and try and we did nothing but try. In the end I only a small strawberry, a 10 pound mahi mahi and had kept only 20 yellow tails since I used the rest for bait. That was all I had to show for this trip. I didn’t even take a pic of me with the fish. It was not a worthy catch. Here are some more pics for your enjoyment. The boat now has some nice front racks! The New Yorkers working the transom. They sure looked like they had fun. 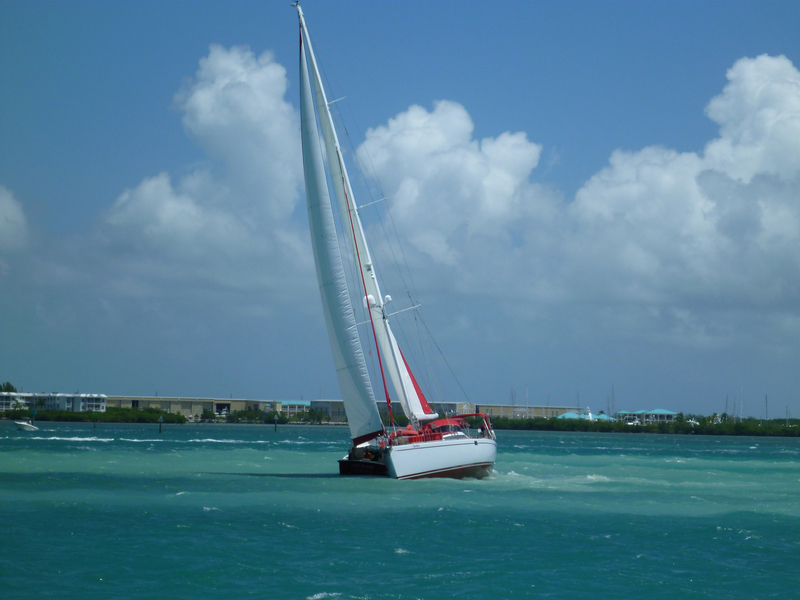 I wonder how the winds were in Key West, this sailboat got stuck on a sand bar, expensive mistake. Jigs :100-300 gram; pink worked the most on this trip. I was supposed to go fishing to the Bahamas in May but changes in my schedule forced me to cancel, but I had the itch for some jigging fun and catching something that could bring some pain to my shoulders, arms or my back. 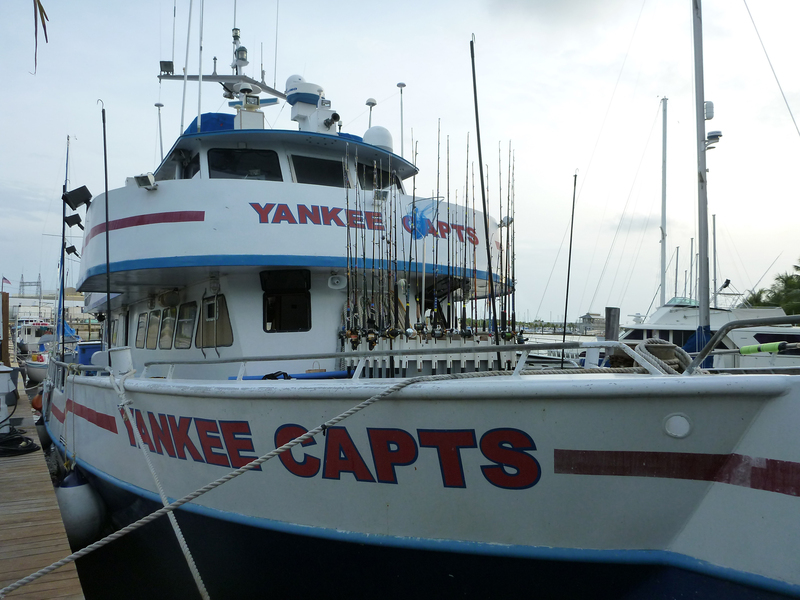 Well, I guess I am trying to say I needed some stress release so I booked a newly opened trip on the Yankee Capts “A WRECKS TRIP” OH boy, this sounded great for the stress release situation. A chance to really work some flutter and vertical jigs on some AJ’s and hopefully some grouper or snappers to gain some “PAIN” and get the stress out of my mind! CRAP! We ain’t fishing in the Tugas? Somebody brought bananas? OOOPS! I guess I did not read on the trip well enough. 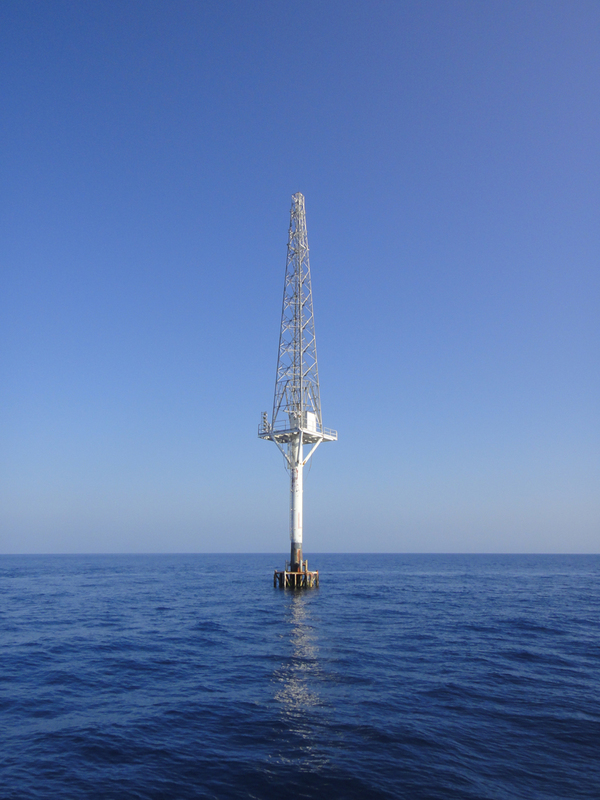 We were to fish wrecks in the gulf, wayyyyyyy up from the Tugas! When I found out I re read In my mind I thought “hmmmmmmm, king fish, cudas, lots of groupers, AJ’s, maybe some cobes, and a chance for permit in the wrecks”. Again I have a busy schedule so I had a very short window to really prepare since my rule to fish from a boat is “as much fresh bait as possible” and by that I mean the bait cannot be caught more than 3 days before the trip and the countdown first day starts at night. I started checking my goggle eye spot sources and those did not look promising, but then I thought I am looking for pain so I need to gather bait for the bait to target bait to catch pain species (In case you did not understand what I meant is that I was looking for bait to get legal size bait to catch big fish with shoulder and back wrecking strength). 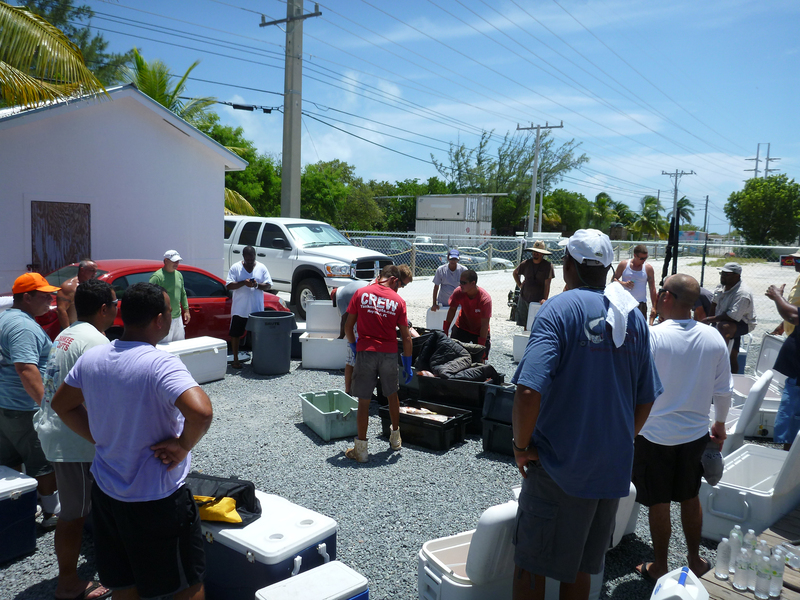 OK, so that meant bait like pilchards, threadfin herrings, small pin fish, blue runners, etc…. Well things started bad as planning had to go down the drain since we weren’t going to the Tugas, and to top it off someone (cough, cough) brought bananas in the boat? 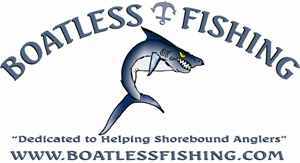 I am used to fishing by myself or a few friends form bridges, jetties, or beaches “I’m a BOATLESS individual” so I pack HEAVY! We have lots of space to run for the rod that gets the hit, this did not make it difficult to choose the basic needs to get the basic pain I wanted. On the 7th of April It all started bad, I was supposed to go to a bridge that holds cigar minnows, small goggle eyes, (especially since I had to be at the dock in Stockton Island before 10 pm on Thursday). I started the day with the OHHHH boy I ain’t got bait in my coolers! I am lucky enough that I live close to the keys so I went straight to the Yellow bait house in Key Largo and haggled on some goggle eyes ( I know I said I may not need them but you never know what bait is the preferred bait of the day so I got them), and got some live shrimp (did not keep live, just placed in bag in the cooler). I went to the first bridge to get herrings and whatever else I could, I saw Jarvis and his friends said high to them as they left and I continued getting bait. I jumped to a second bridge to cast net some ballyhoos after a few one by one tries I went to the third bridge where most of the people fishing in the trip where there. Got the pins and separated them by size in zipper bags, small medium, large, and mixed bag (different baits). 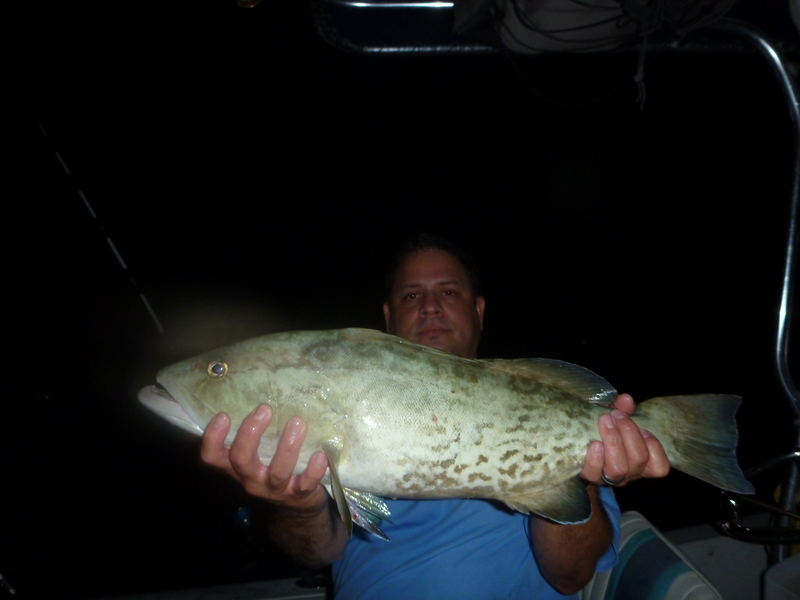 On the 8th of April after a loooooooong ride to the first wreck right before sunrise we all tried for some groupers and then did the switch to other baits and styles of fishing. 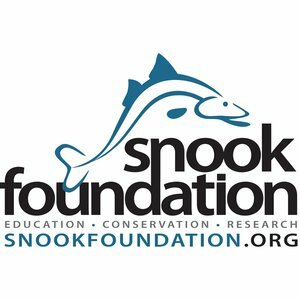 You could see knocker rigs, fish finder rigs, free lining, heavy bottom weights, and light weights. My observation was that all in all everybody was trying something different and everybody was watching each other to see what worked at the moment as if we were on a pier where someone gets a fish to bite and all of a sudden you see 10 other fishermen in the same spot. Them not knowing that the fish are all over but it’s up to them to get them to bite where they are. I and a few people got what we wanted, nice fish. And I definitely got what I wanted, PAIN! I started jigging and got on to some AJ’s while everyone else tried hard to get other fish. After my Aj’s a few African Pompanos came up, we got a few very rare Red Americans( cough, cough) and that was promising. 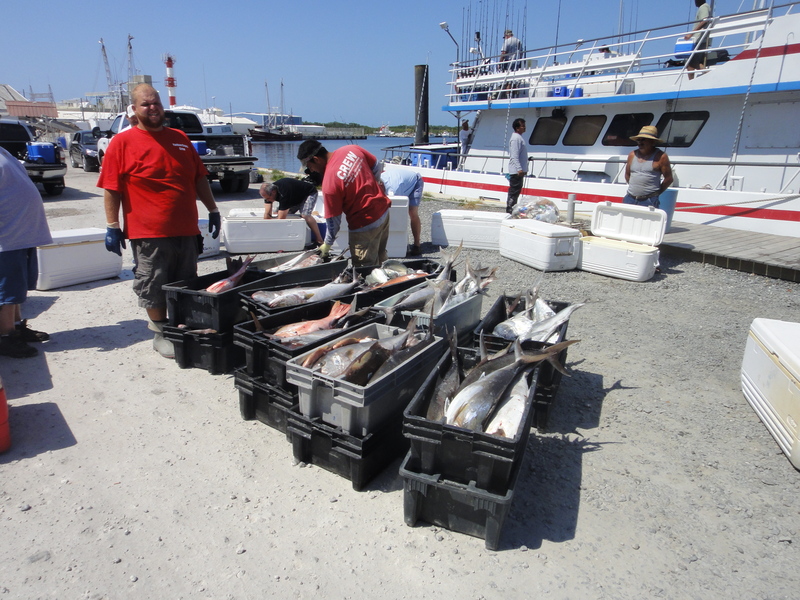 As always the captains and crew worked hard and moved from spot to spot trying to make sure that all got into some “QUALITY FISH”. 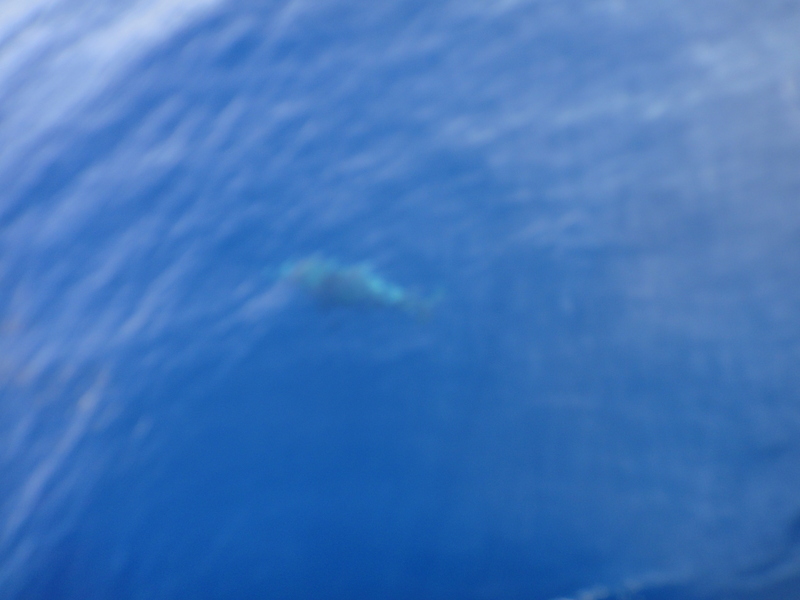 Yes, this trip was not meant to be about numbers or just Muttons, but about quality in size of fish that inhabit the wrecks. I kept saying I am going to battle with the AJ’s, and so I did. I got 12 out of about 20. My shoulders were hurting, my back was in pain, my arms had a great work out, ended up got bruises all over, and ended up keeping the smaller ones to eat. 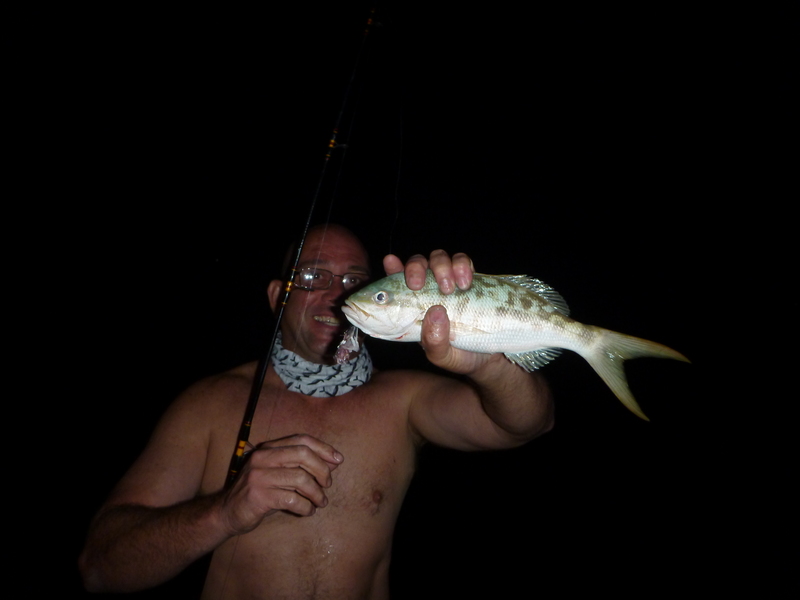 The night came and so we started targeting snappers and groupers, to our surprise a ballyhoo going down produced a nice black fin (sorry I am bad with remembering names)…. So I tried jigging at night with no success, I went back to bottom fishing. On the 9th (or my birthday) fishing was going very slow so I decided to break my rules and target the yellow tails using a guppy rig ( chicken rig) I know it sounds bad but I did it and I said it “aint no shame in this game, fish don’t know the difference! I went with the smorgasbord buffet special baits, LOL…A big mixed bait on the top, a smaller mixed bait on the middle, and a tiny single bait on the bottom… I dropped it and then POW!!! 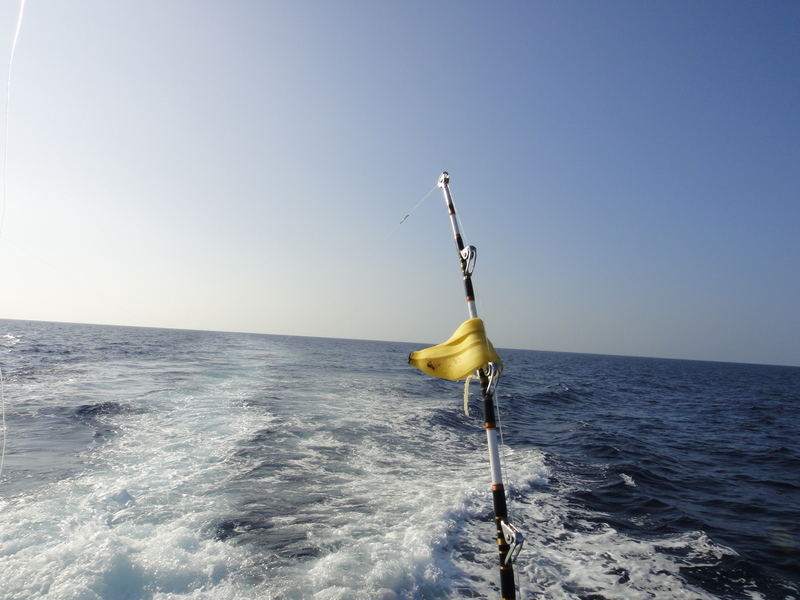 Rod tip bent, tangle with 3 people is on, I kept on reeling in, captain Greg ran to the bow to help, and Jarvis started s creaming don’t pull he’s got a big tail on… A nice tail comes up I say it’s a flag but Mr. Caesar says “NO!, is not a flag, IT’S A BANNER!”….Thanks goes to Jarvis and Capt Greg for the help on landing the nice y-tail. It was 26.5” total length as the picture shows it and may be even more if I had pinched the tail some more…. Instead of shrinking this thing grew from 24.5” inches to a nice 26.5”. 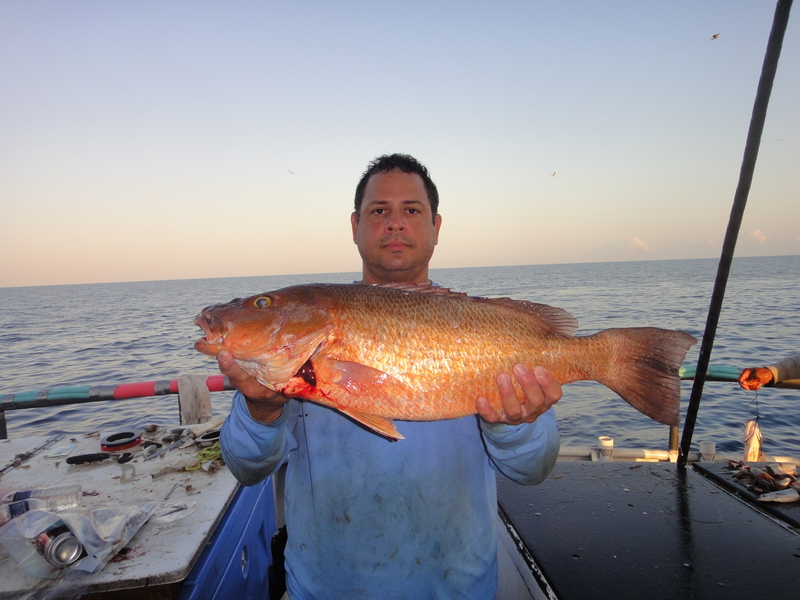 After that a nice 15 or so pound red was landed and a real NICE 24 pounder mutton was landed as well. The day kept going with the moving from spot to spot. 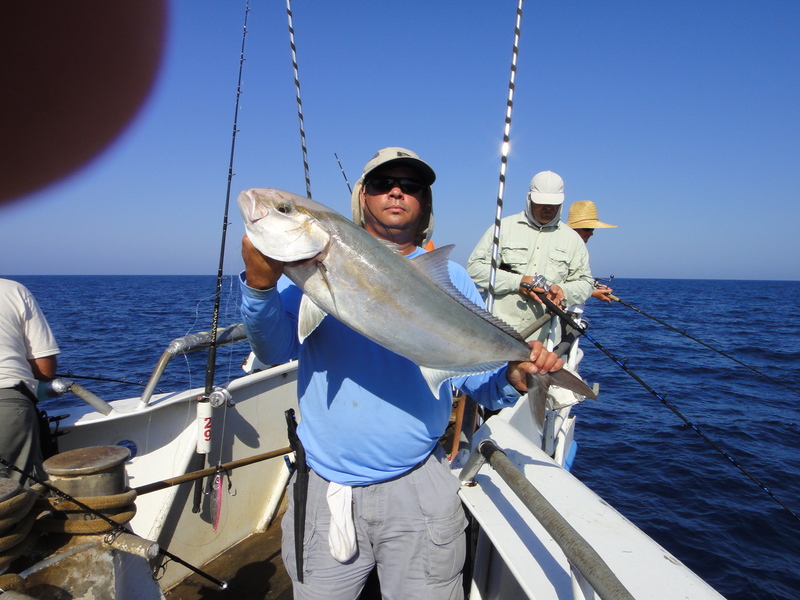 Others were having fun with jigging and on the same day Roberto was able to sneak the jig in between all the Aj’s and got a nice 25 pound or so black fin. 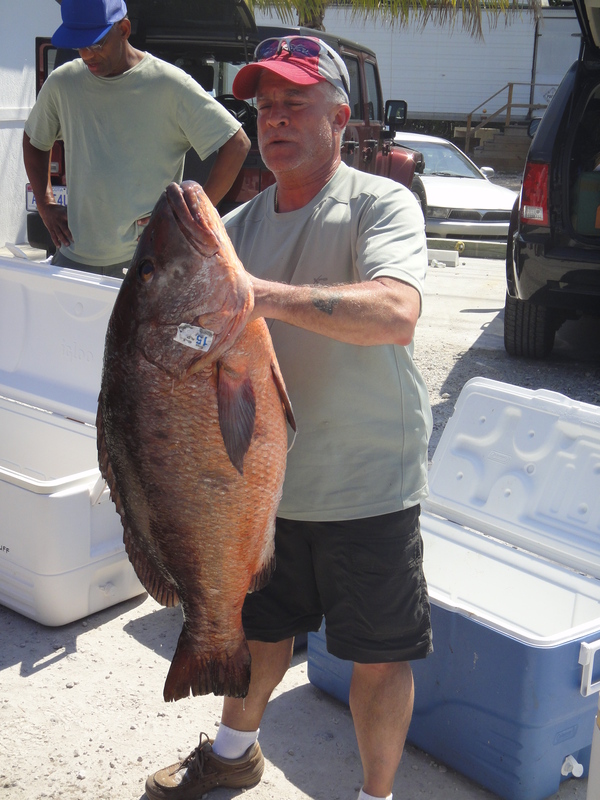 After that a nice surprise came in the form of a cubera snapper, the Yankee fan was able to pull the pool winner 37 pounder, which rumors had it was around 50 pounds but that later was confirmed to be 37 pounds on the scale. A one of a kind for many, but just smaller one for the person that caught it ( he got a bigger one in Panama), but HEY!, this one was in Florida during our trip! On the 1oth, things kept going slow with blue fish and lanes in the mix and finally Capt Matt decided to make a last minute move to arrive at sunrise city where we prepared for groupers and got hit hard, rods bent all over and a few Goliaths came over the rail but no reds or blacks, then all of a sudden the nice size mangrove snapper started to show until Mr. Sharky showed up and capt Greg gave us the last call for the trip. The bananas in the boat had to be eaten before we all started catching some fish. 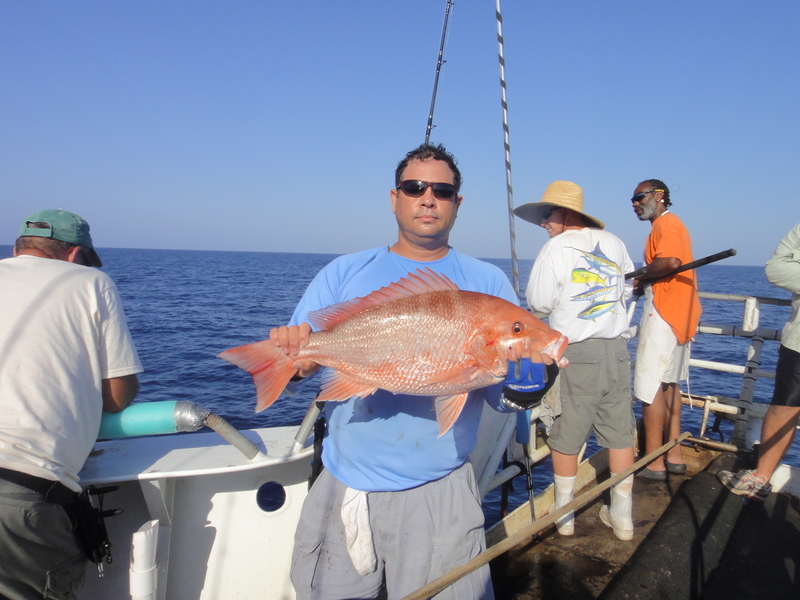 All in all fishing was slow for those that did not want to fish, we got nice quality fish, and we had a great time. 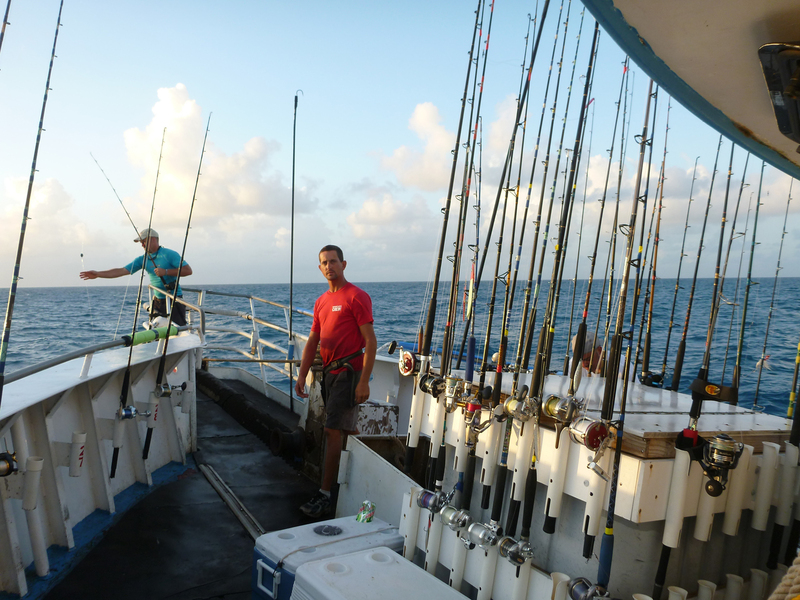 The Captains did their job so did the mates and it was up to us to get the fish. We all did what we could and some of us landed something very nice. Numbers didn’t matter, quality did. The trip was fun and smelly because (cough, cough)” middle bunks situation” with someone bringing bait in their clothes and leaving it somewhere in there. 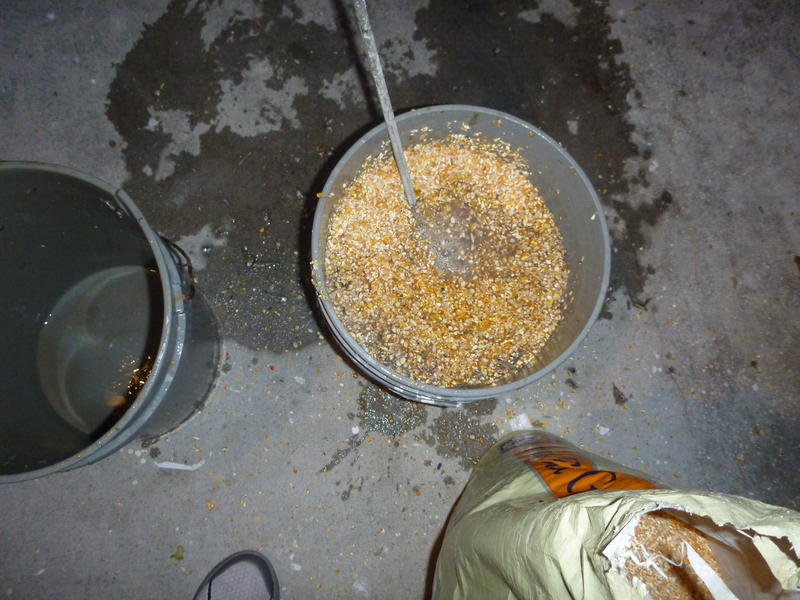 I ended up taking lots of bait but ended using mostly artificials, (it’s what I asked for, “PAIN”). I did not fish for cudas as it was just to easy to do so, they were all over and a tube lure would have been just too easy.